Under the title “Schiller Wine Visits Château Beauséjour”, the Organic Wine Journal published on July 19, 1012 an excerpt of an article (with a link to the full article) that had initially been published on schiller-wine under the title: “Vin Bio de Bordeaux - At Château Beauséjour in AOC Puisseguin-St.Emilion, France”. The Organic Wine Journal is an online guide to Organic, Biodynamic and Natural Wine. It was was founded in 2006 by Jonathan Russo and Adam Morganstern. The Organice Wine Journal advertises itself as the “The world's leading online resource for organic, natural and biodynamic wines". After spending about an hour with vine grower and wine maker Ben Renshaw in Virginia’s Tranquility Vineyard, he took us over to Otium Cellars, owned by my compatriots Gerhard and Max Bauer, where he introduced us in the tasting to the Otium Cellars wines as well as to the wines of 8 Chains North Winery. The Otium Cellars wines were also crafted by Ben Renshaw. This was part of TasteCamp 2012 in Virginia. Otium Cellars is located on Goose Creek Farms and Winery near Purcellville and Round Hill a little ways off Rt. 7 in Loudoun County, Virginia on Tranquility Road. The Bauer family named their label after the road they are located on. The word Otium is Latin and means tranquility. The tasting room sits atop a hill overlooking the farm which is also home to a private equestrian facility raising world class Hanoverians. “We are a private equestrian facility dedicated to raising World Class Hanoverians. We offer breeding, raising, training, sales and premier boarding at our stables” explained Gerhard Bauer. The tasting room is very nice. The entire structure is all wood, from the outside to the inside, to the bar, to every element of this structure. There are 5-6 tables along the left hand wall, which consists of doors that open up to give that outdoor appeal to the tasting room. A fireplace is centered in the middle of the tasting room, lined with seating allowing you to cozy up to its warmth in the cooler months. Ben Renshaw has been working with Gerhard Bauer to produce and sell the wines of Otium Cellars while Gerhard Bauer’s winery was being built. Gerhard Bauer did his first planting on six and a half acres at Goose Creek Farms in 2007. Gerhard Bauer and Ben Renshaw went through the different varietals of Otium Cellars: “Chardonnay is America's most popular grape. Our buttery style is rich and laden with tropical fruits like mango and pineapple. You will also find some flavors of caramel and vanilla. Grauburgunder is the German name for Pinot Griggio and Pinot Gris. The Grauburgunder has a grayish-blue fruit. Blaufränkisch is a dark-skinned grape, rich in tannin with a spicy character. The wines have aromas of dark ripe cherries and dark berries, are spicy and have medium tannin with very good acidity. Young wines are deeply fruity and become more velvety, supple and complex with age. Dornfelder is a dark skinned grape with deep color and powerful flavor. The wines have a depth of color, good acidity and the ability to benefit from barrique aging and the associated oak flavors. Our Dornfelder wines are velvety textured, slightly floral, show some flavors of plums, blackberries and cherries. The elegant finish of this wine with its berry flavors and dense, ripe fruit aromas gives the palate a structured and silky core of vivid fruit. Aged in small oak barrels, this Cabernet Sauvignon imparts a subtle mocha. The result of our way to grow wine and handle grapes is an elegant wine with strong black cherry flavors and an unexpected hint of violet and spice that we believe conveys the essence of a Virginia Pinot Noir. Here is what we tasted. 2009 Dornfelder - a dark red full-bodied wine, with plum and blackberry flavors, great, toasty finish. 2010 Malbec - with plum, cherry, and berry flavors enhanced with a subtle spiciness and a great finish. The Malbec grapes are the only grapes in the line up that are not estate grown - they come from Furnace Mountain vineyard. A Clockwork Orange is a 1962 satire by Anthony Burgess, portraying a future and dystopian Western society with a culture of extreme youth rebellion and violence. A well-known adaptation of the novel is the 1971 film A Clockwork Orange by Stanley Kubrick. 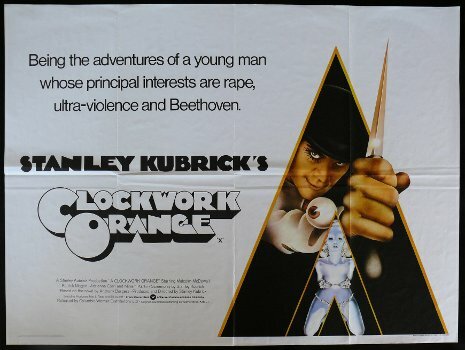 After Kubrick's film was released, Anthony Burgess wrote an A Clockwork Orange stage play. In 1988, a German adaptation of A Clockwork Orange featured a musical score by Germany’s leading punk rock band Die Toten Hosen. More recently, Die Toten Hosen produced wine with Martin Tesch, a German avant-garde wine maker. 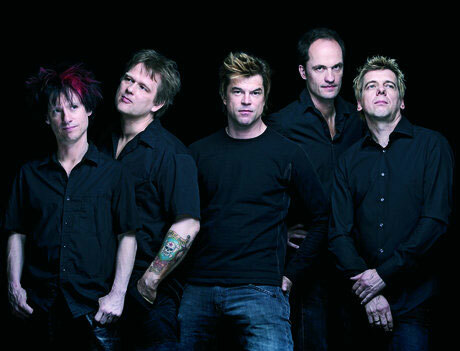 The members of Die Toten Hosen are Campino (Andreas Frege), Kuddel (Andreas von Holst), Vom (Stephen 'Vom' Ritchie), Andi (Andreas Meurer) and Breiti (Michael Breitkopf). Campino the lead vocalist, also played the lead role in Wim Wenders’ movie Palermo Shooting (2008). "Sonia Dégustation reprend, pour le mois de juillet 2012, le flambeau de la Présidence des Vendredis du Vin en nous proposant le thème : Les Vins en Série. Ce n’est pas sans émotion et une légère appréhension que je prends la présidence éphémère de ces vendredis du vin du mois de juillet. Vais-je répondre aux attentes d’inspiration des vendredisiens ? La tâche n’est pas facile, beaucoup de sujets ayant déjà été traités. Lors du dernier VdVs organisé sous la présidence de Patrick Böttcher, je me suis beaucoup amusée à faire concourir 2 chefs sur des accords vin-met. J’avais envie de poursuivre cette idée d’accord mais dans un autre domaine. Après avoir hésité (longuement) entre plusieurs possibilités, mon choix s’est porté sur la musique mais pas n’importe laquelle. Il fallait affiner ce sujet plutôt classique et qui avait déjà été traité par la jolie Eva. Et puis, rien ne vaut la contrainte pour être créatif, les amateurs d’Oulipo ne diront pas le contraire ! Ce sera donc une musique de film ou de série télévisée. Peu importe le genre ou la date de diffusion de cette musique, ce qui compte c’est l’univers qui l’entoure, l’émotion qu’elle vous procure et ce qu’elle vous donne envie de boire." Die Toten Hosen (The Dead Pants, but more elliptically: Nothing Going On) teamed up with Martin Tesch recently, to produce Weisses Rauschen (White Noise). After the band's first wine Machmalriesling was quickly sold out, Die Toten Hosen and Martin Tesch agreed to produce another wine together, Weisses Rauschen. Of course, Martin is in the lead, but Martin told me that the band played an active role in the selection of wine, the name of the wine and the design of the bottle. The wine was named after a song of Die Toten Hosen from the album Zurueck zum Glueck (Back to Happiness). The wine is a typical Tesch Riesling: No frills, crisp with fine grape flavor reminiscent of apple and apricot. It was environmentally-friendly grown in the vineyard, and naturally fermented and aged in the cellar. Martin Tesch owns and runs Weingut Tesch in the Nahe valley. The Weingut has been family-owned and run since 1723 and is a member of the prestigious VDP, the century-old association of Germany’s top winemakers. In his mid-thirties, Dr. Martin Tesch is a Ph.D. microbiologist by training. He took over Weingut Tesch in 1996 and has presided over fundamental changes both in the vineyard and the wine cellar as well as in the marketing of the Tesch wines. Martin stopped producing sweet-style wines; all Tesch wines are now dry, except, it seems, for the occasional Eiswein when conditions allow. Further, he has moved to natural and non-interventionist winemaking and strict yield control of between 20-30 hl/ha. The harvest is manual and he picks the grapes at full ripeness, but avoids botrytis. Also, he changed and simplified the label design. There are no long words anymore on the label. Finally, Martin Tesch now generally uses the Stelvin glass closure. It is a ultra-modern and expensive technical fitting. 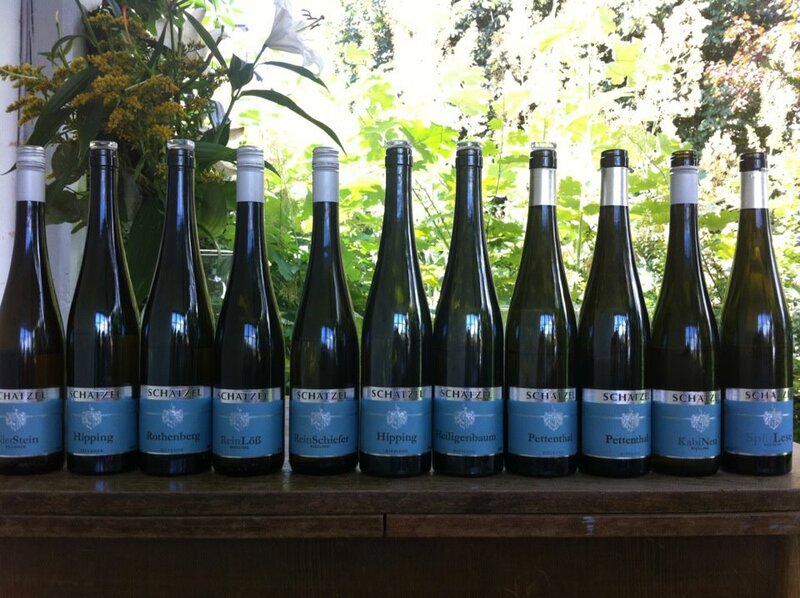 Martin Tesch’s Riesling Unplugged has become an international favorite. The wine is as natural as you can get, with tremendous value placed on environmental-friendly viticulture. The wine is untreated, meaning no must concentration or capitalization. 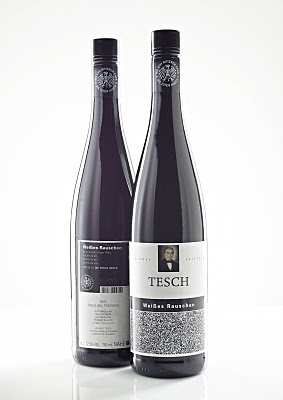 Tesch's Riesling Unplugged is a bone-dry, light wine with intense minerals and concentrated fruit on the nose, and a long palate with refreshing acidity. Unplugged stands in the pop and rock scene for performances with small audiences without reinforcement and other technical manipulations of the music; what you get is a maximum of authenticity and individuality. 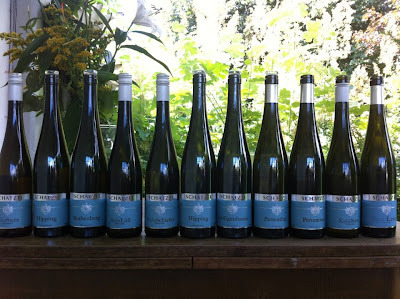 Unplugged stands in the German wine scene for a Riesling made by Martin Tesch according to the same principles; again, what you get is a maximum of authenticity and individuality. Martin Tesch has published 2 avant-garde books about his world of Riesling wine and Rock and Roll music: Riesling People Vol. 1 and Riesling People Vol. 2. Obviously, Martin Tesch is very much into Rock and Roll. He has documented his passion for wine and Rock and Roll in a book entitled Riesling People, Vol. 1. With the 2010 vintage, the Riesling Unplugged celebrated its 10th anniversary. At this occasion, Martin produced the audio book Riesling People Vol. 2. It is a medley of diverse contributions of a group of friends of Martin Tesch - sommeliers, customers, journalists, writers, chefs and musicians. The sommeliers Natalie Lumpp, Jürgen Fendt, Billy Wagner and others comment on Riesling Unplugged of each of the 10 vintages; Stuart Pigott talks about hunting sharks on the Nahe river. The Die Toten Hosen contributed a song to the Riesling People Vol. 2, as did Koester + Hocker and the Group Les Sauvignons. All in all, a highly entertaining and informative audio book about Martin Tesch’s Riesling Unplugged. I turned 60 at the beginning of this year and was at the time of my birthday in Madagascar. My wife Annette organized a very nice birthday party there, with Malagasy music, Malagasy wine and food, and our Malagasy friends at the home daughter and son-in-law Cornelia and Chris. 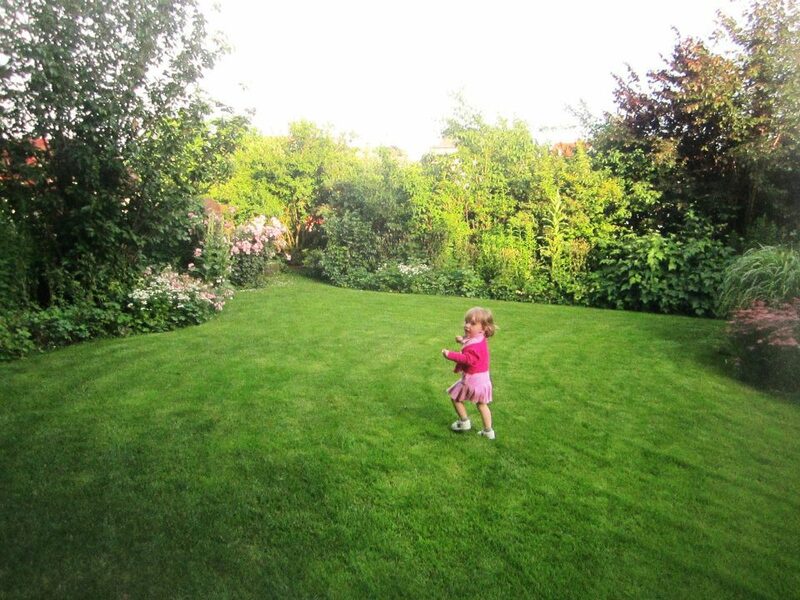 In June of this year, she organized a second birthday party for me at our home in Frankfurt, Germany, for my German friends and family. 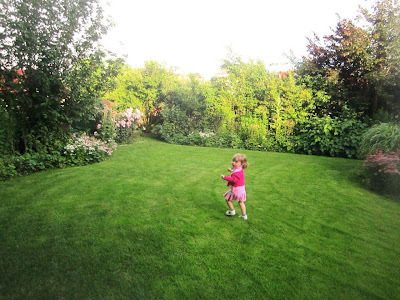 She invited family and friends from all phases of my life, starting from school and ending with wine blogging. The birthday party took place at our home in Frankfurt am Main, but included a side trip by bus to Nierstein, where we were received by Kai Schaetzel, the up and coming charismatic winemaker from Weingut Schaetzel. Kai took us to the Roter Hang vineyard (red slope), where we were treated to a reception with Raumland Sekt and a gorgeous view of the Rhein valley with Frankfurt am Main on the horizon. We then moved to the Schaetzel Estate were we had dinner in the lovely garden of the Weingut Schaetzel, went through Kai Schaetzel’s current wine portfolio und finished with a short cellar tour. The bus took us then home to Frankfurt, were the party continued with more wine and cheese, dessert and music. I retired at 3:00 am but some held out until 6:00 am. One of my guests was the international wine journalist Panos Kakaviatos, who has written a lovely account of the visit at Weingut Schaetzel: “Schätzel in Nierstein, thanks to Christian Schiller’s birthday celebration!” on his Wine Blog "Connections to Wine"
I did not know where we were going until I saw Kai Schaetzel in a car in front us, leading the way up to the Red Slope. Weingut Schaetzel is located in Nierstein in Rheinhessen. The winery was established in 1850 by Jakob Schlamp. Today, the winery is owned and managed by Kai Schaetzel. 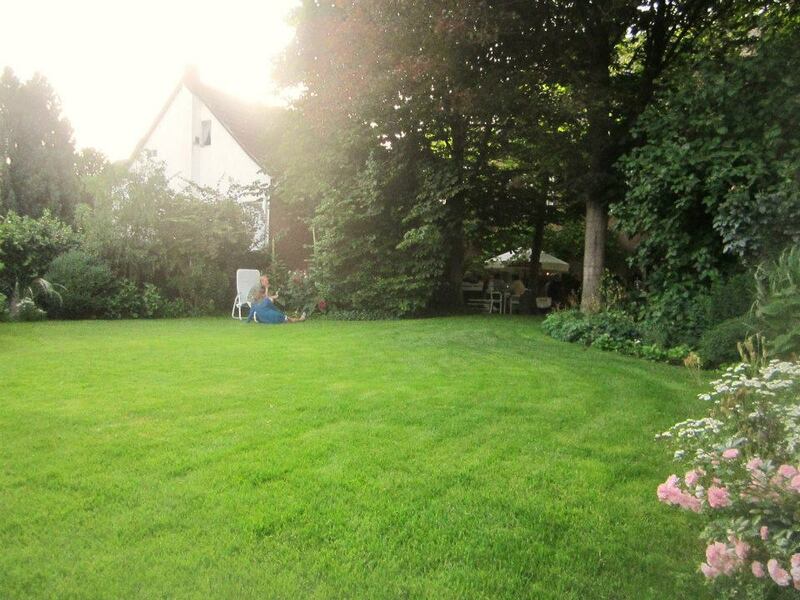 The Schaetzel family has been making wine for 650 years, for 5 generations at the General von Zastrow Estate. And he has succeeded. In the prestigious Gault Millau WeinGuide Deutschland 2011, Weingut Schaetzel moved from 1 to 2 grapes (with 5 grapes being the maximum). “A new fixture in the reemerging Red Slope of Nierstein”, noted the Gault Millau WeinGuide Deutschland. We started with a Champagne Reception in the Roter Hang. This steep slope extends for some five kilometers (three miles) with a total of 180 ha (445 acres) around Nierstein on the left bank of the Rhine. Weingut Schatzel’s vineyard area is small, just 5 hectares, with the single vineyards Heiligenbaum, Hipping, Ölberg and Pettenthal in the Red Slope. Riesling accounts for 70%, with the remainder made up by Silvaner and Spätburgunder. In the vineyard, Kai follows ecological principles. We then moved to the Schaetzel Estate were we had dinner in the lovely garden of the Weingut Schaetzel and went through Kai Schaetzel’s current wine portfolio. Here are Panos’ tasting notes. “ReinWeiss 2011. Has a sweet mineral aroma. The palate is tasty, I noted just a slight bit of residual sugar (5.5 grams) but there is good salinity to match. Nothing profound, but for €5.80, a fine bottle of wine. KabiNett Riesling 2011. I like the nose more here, has more mineral character, albeit with a touch of wet sock. There is a bit of carbon like spritz, oh so light. I was surprised to see the 10.5% alcohol on the back label, as the wine did not seem to be too sweet at all. Nice balance. Reinlös Riesling 2010. The best nose so far, more precise, and a tasty palate that exudes an herbal freshness that is very appealing. A lovely wine, and well worth the price of admission. ReinSchiefer Riesling 2010. Simply meaning Red Slate Riesling. Here is perhaps the best overall wine tasted today – when price is taken into account. For less than €10 per bottle, you get a tobacco mineral like nose, fine intensity, a lingering finish and excellent backbone coming from quite elevated acidity that is nevertheless unaggressive. I bought three bottles without much thought. The grapes come from various parts of his vineyard, including the red slope “and represents the medium range,” Kai explained. Heiligenbaum Riesling 2010. This one costs €15 per bottle and comes from a south-facing vineyard but where there is an ample draft of wind, so it is actually a cooler vineyard. The result is a subtle wine on the nose – not as expressive as the above – with good sap on the palate. The overall balance seems just a touch disjointed, with sweetness and acidity battling it out, if just to a certain extent. We finished off at Weingut Schaetzel with a visit of the impressive, very old vaulted underground wine cellar. “The fermentation takes place in this 800 years old cellar” explained Kai. “For the fermentation, each wine gets its own oak barrel. Most of the barrels are 600 or 1,200 liters in size and up to 50 years old.” There are about 50 oak barrels in Schaetzel’s vaulted underground cellar. The finalists in the 2012 Wine Blog Awards were announced. The final winner will be determined via a 50/50 weighting of the public vote and that of the judges. Winners will be announced at this year’s Wine Bloggers’ Conference in Portland. schiller-wine had been nominated in the Best Overall Wine Blog and in the Best Blog Post of the Year categories (The Wines of Madagascar), but did not make it to the finals. Here are the finalists in the various categories. Normally, Wine is Dry. But there are Many Sweet Wines in the World. How is Sweet Wine Made? On my trip last year to the Soave region in Italy, I was introduced to Reciotto di Soave. This is a sweet wine. It triggered in me the desire to do a bit of research with a view of finding out how the sugar gets into sweet wines. Normally, wine is dry: the sugar, naturally present in grape juice, is transformed into alcohol and carbon dioxide by the action of yeasts during fermentation - the sugar content of the must declines and eventually disappears, while the alcohol content builds up. Fermentation, however, stops naturally, when the alcohol has reached a certain level – around 15%. Thus, any sugar that is still in the must at that point of fermentation remains in the finished wine and makes the wine sweet. But this happens only under very special circumstances. Even in hot climate countries, the sugar that is in the grapes at harvest disappears completely as a result of fermentation. Thus, normally, wine is dry. But …. there are many wines that are not dry. How do wine producers do this? Grow grapes so sweet that they naturally have sugar to spare for both sweetness and alcohol? This is an approach that exists as far as I know only in theory. I am not aware of any such wine. Often, the German Spaetlese and Auslese wines are mentioned in this category. But this is wrong. Germany is a cool climate country and German wine makers have always been struggling to get fully ripe grapes, although less so in recent years as a result of climate change. Of course, there are these world renowned fruity-sweet German Spaetlese and Auslese wines. But they are sweet, because of either arresting the fermentation or adding sweet reserve (see below). If you just leave it to Mother nature in the wine cellar, these wines would become bone-dry. Add sugar before fermentation (Chaptalization)? Chaptalization – adding sugar to the grape juice before fermentation - is a common practice in many countries, invented in France. However, sugar is regularly added to boost the alcohol levels of flabby, unripe wines rather than for sweetness. The EU wine law limits the amount of additional alcohol that can be achieved through this cellar technique to 3.5% by volume and 2.5% by volume, depending on the wine region. This is a very popular technique in Germany, done through a skillful manipulation of the fermentation process, such as dropping the temperature during fermentation and/or filtering out the sugar-consuming yeast. The winemaker needs to follow closely the fermentation process and must make sure that it comes to a stop at the desired level of sweetness.This is the way, the delicious low alcohol, fruity-sweet German Spaetlese and Auslese wines are produced. This is a German technique in which sterilized grape juice is added to the wine after fermentation. In Germany, the final wine can contain no more than 15% sterilized juice by volume. This approach is less popular today than it was years ago; most German fruity-sweet wines are made by stopping the fermentation. Often, the two approaches - arresting the fermentation and adding sweet reserve - are used in combination: You stop the fermentation at about the desired level of sweetness and then you fine-tune the level of sweetness by adding sweet reserve. Sweet Sherry is also made by adding sweet reserve (see below). By adding alcohol, you drive up the alcohol level in the must so that the fermentation stops naturally, while not all sugar that was in the grapes is converted into alcohol. The main fortified wines are Port, Sherry, Madeira and vins doux naturels. While Port wine is made sweet by adding alcohol to the fermenting must so the fermentation stops and the sugar of the grapes remains in the wine, Sherry, on the other hand, is made by letting the fermentation go its full way so that a dry wine emerges. Then, alcohol is added to boost the alcohol level. If the winemaker stops there, you get a dry Sherry. If he also adds sterilized juice, you get a sweet Sherry. Thus, Sherry can be sweet or dry, while Port is always sweet. Madeira is a fortified Portuguese wine made in the Madeira Islands. Madeira is noted for its unique winemaking process which involves heating the wine up to temperatures as high as 60 °C (140 °F) for an extended period of time. Furthermore, Madeira is deliberately exposed to air, causing it to oxidize. By contrast, sweet Sherry is not fortified. Most wine laws require temperatures below at most −7 °C (19 °F) before the grapes for ice wine can be picked. At such temperatures, some of the water in the grapes freezes out, but the sugars and other solids remain dissolved in the remaining juice. If the grapes are pressed whilst frozen, a very concentrated must can result, which needs special yeast and a long time to ferment. The most famous ice wines are German Eiswein and Canadian ice wine. Alternatively, the freezing can take place in the wine cellar (cryoextraction). This is an approach, which kind of simulates the frost in the vineyard in the wine cellar. It was developed by the French. Instead of waiting for Mother Nature to produce frosty temperatures in the vineyard, the winemaker subjects the grapes to frosty temperatures in the cellar and presses them while frozen. Botrytis cinerea is the key to the success of many of the world’s most famous noble sweet wines. Also known as noble rot, Botrytis cinerea is a fungus that under the right conditions attacks already-ripe grapes, shriveling them, concentrating the sweetness and acidity. The grapes end up looking disgusting but they make profound sweet white wines. The sugar content of the grape is exceptionally high at the time of the harvest and Mother Nature is unable to ferment all the sugar. Thus, natural sugar remains in the wine and makes the wine sweet. Noble sweet wines made on the basis of noble rot are produced in a number of countries. The most famous ones are the Sauternes in France, the Beerenauslese and Trockenbeerenauslese in Germany and in Austria, the Austria Ausbruch and the Tokaji from Hungary. No doubt, the first noble rot wines were created by accident - both the Hungarians and the Germans have similar stories of how the harvest was delayed for some reason, but the over-ripe grapes were vinified anyway and then the resulting wine found to be delicious. Northern Italy is home to a number of raisin wines, where the grapes are dried on straw, on racks, or hung from the rafters. Across the Alps, the French make straw wine (vin de paille). The Austrians also make straw wine while it is illegal in Germany.